The cause of the fire is being investigated, according to Pasco County Fire Rescue. 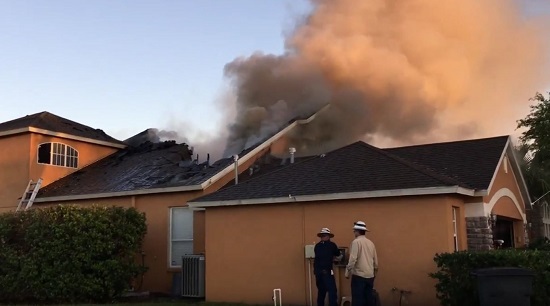 TRINITY – An early evening fire Friday (March 16) sent smoke across a Trinity neighborhood, Pasco County Fire Rescue said. No one was in the home and there were no injuries. Firefighters were called to the 1500 block of Kish Boulevard about 6:55 p.m. for a house fire. 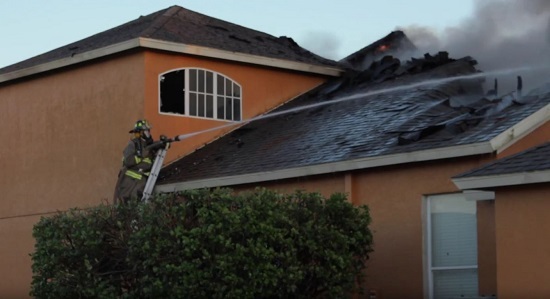 When they arrived, they found a home with heavy smoke and flames coming from the roof. They began fighting the fire and called in a second alarm because of the size of the home and the heavy fire conditions. It took firefighters 80 minutes to get the main body of the fire under control. 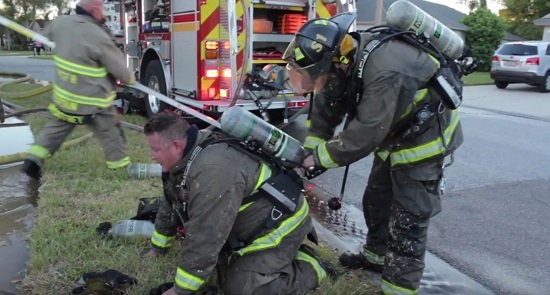 Photos from Pasco County Fire Rescue video taken at the fire.